Alahart RV Park in Dawson Creek, B.C. Alahart RV Park in Dawson Creek, B.C. 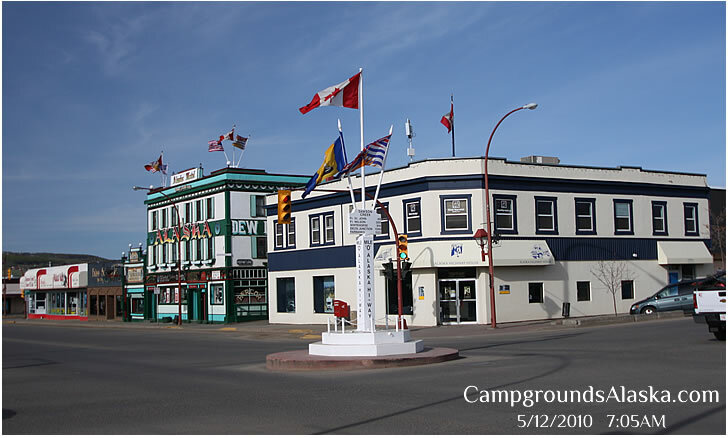 offers a motel, RV Park and campgrounds all in one and is located at the beginning of the Alaska Highway known as Mile 0. 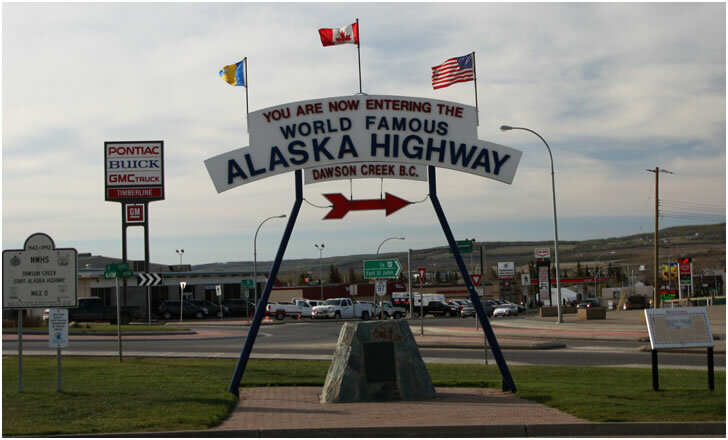 Drive the Alaska Highway from start to finish beginning in Dawson Creek Canada. Directions — Alahart RV Park is located in Dawson Creek, B.C. about 100 yards east of the junction of the John Hart Highway and the Alaska Highway (hidden away from the highway behind Rockwell's Pub). Description — Alahart RV Park offers 37 full service campsites along with additional spaces for non service camping including tent camping. Alahart offers clean washrooms sinks and private showers plus a coin operated laundry for their guests. The rv park office is located in the same building as the Alahart apartments and motel. You can see the RV park behind the building. Tours — The Mile "0" Info Centre and a golf course are nearby. Lots of free walking tours available in the town. Visit the Dawson Creek Visitors Center for walking maps and a local business directory. Thousands of brochures are available for planning your days in Dawson Creek and the Province of B.C. Additional Amenities — Alaska and Hart Highways come together at the Alahart RV Park in Dawson Creek, British Columbia. Fuel including unleaded gasoline, diesel and propane is available across the street at the 24 hour Husky Station. Alahart RV Park is pet friendly asking only that you keep pets on a leash and pick up after them immediately. Patrons with aggressive pets will be asked to leave for the safety of others. You can find Alahart RV Park just east of the intersection of the Alaska and Hart Highways. Dawson Creek Visitors Center is located at 900 Alaska Avenue in Dawson Creek, BC Canada.